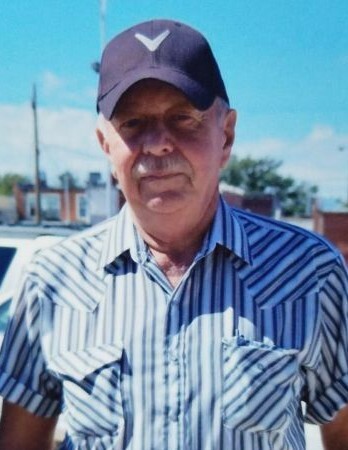 Donnie Ray Worley, age 72, of Brewster passed away Tuesday, October 2, 2018 at his home. Donnie was born August 16, 1946 in Stilwell, Oklahoma to Bernice Worley. He grew up in Bunch, Oklahoma and attended school at Cave Springs High School. In May of 1964 Donnie married Leona (Ritter) in Johnson, Kansas. They moved to Brewster in 2001, he worked as a truck driver for many years. Donnie enjoyed spending time with his family, collecting guns and watching all kinds of western movies. He was preceded in death by his parents and his sister, Ann Bowen. Survivors include his wife, Leona of Brewster, KS; daughter Lori Worley of Eckley, CO; son Lee (Stella) Worley of Cheyenne Wells, CO; daughter, Dawn (Lynn) Hammer of New Salem, ND; sisters: Kathy (Ed) Holsman of Gem, KS; Rhonda Morris of Colby, KS; and Gail Dodds of Kensington, KS; grandchildren: Cassandra (Justin) Smith of Eckley, CO; Amber (Ryan) Nieuwsma of Beulah, ND; Trey (Rebecca) Hamilton of Goodland, KS; Dillon Worley, Ethan Worley, Dawson Worley, Evan Worley, Samantha Worley, Savannah Worley and Serenity Worley all of Cheyenne Wells, CO; Lane Hammer of New Salem, ND; great-grandchildren: Riley, Peyton, Addison, Weston, Austin and Jayden. Funeral service will be Monday, October 8, 2018 at 2 p.m. MT at Bateman Funeral Home, 211 East 11th Street in Goodland. Interment following the service at the Brewster Cemetery. Visitation will be held one hour prior to the service at Bateman Funeral Home, 211 East 11th Street in Goodland.